Dr. Darley Solomon is an attending General Surgeon who has been practicing at CTMH | Doctors Hospital since 2011. Dr. Solomon earned his Bachelor of Science in Chemistry and Doctor of Medicine degrees at Howard University in Washington, DC. He then completed an internship in Internal Medicine at Jacobi Medical Center in Bronx, NY and a residency in General Surgery at the University of Mississippi Medical Center in Jackson Mississippi. Dr. Solomon has also earned a Masters of Business Administration. Dr. Solomon has practiced as an Attending and Consultant Surgeon in Mississippi and in the Cayman Islands. He has also served as an Assistant Professor at the St. Matthew’s University School of Medicine in Grand Cayman. Dr. Solomon is a member of the Mississippi State Medical Association, the American Medical Association, and the American Society of General Surgeons. 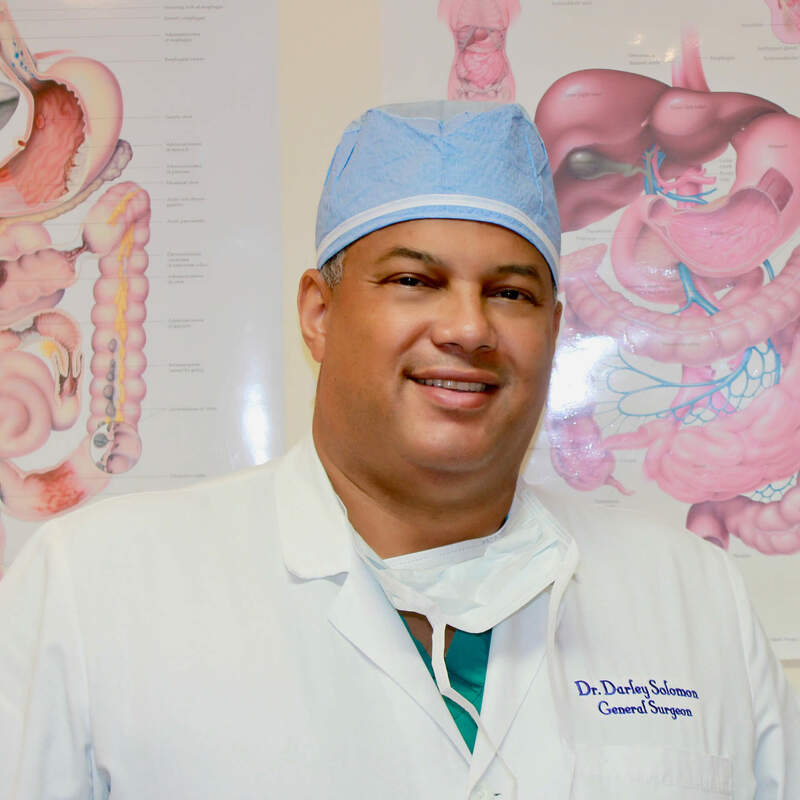 Dr. Solomon specializes in treating patients with abdominal pain, hernias, gall bladder, colon, and breast problems. He also does colonoscopies to screen for colon cancer. Dr. Solomon was born in the Cayman Islands and educated in the United States. When he is not helping patients at CTMH | Doctors Hospital, Dr. Solomon enjoys spending time with his wife and children at the beach. Patients can contact Dr. Solomon by telephone at 345.914.6511. Appointments can be booked through the CTMH | Doctors Hospital Operator at 345.949.6066.